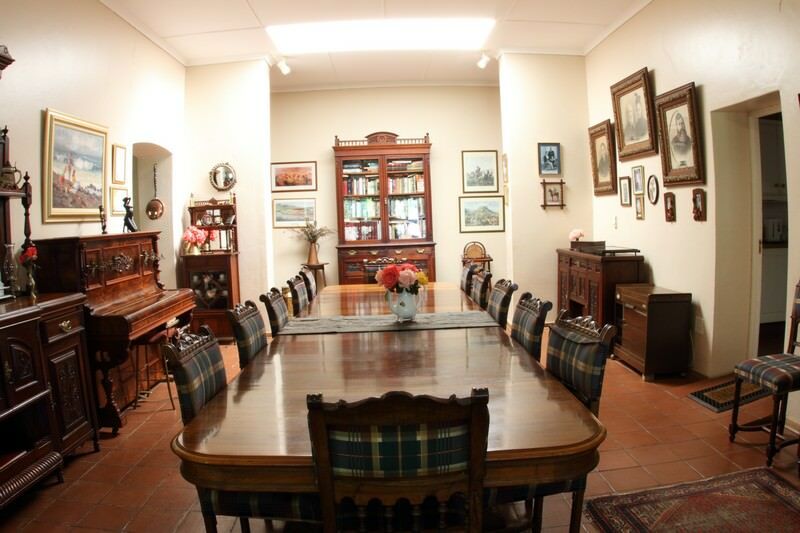 Penny Farthing is an intimate guest house used on our South African battlefields tours. 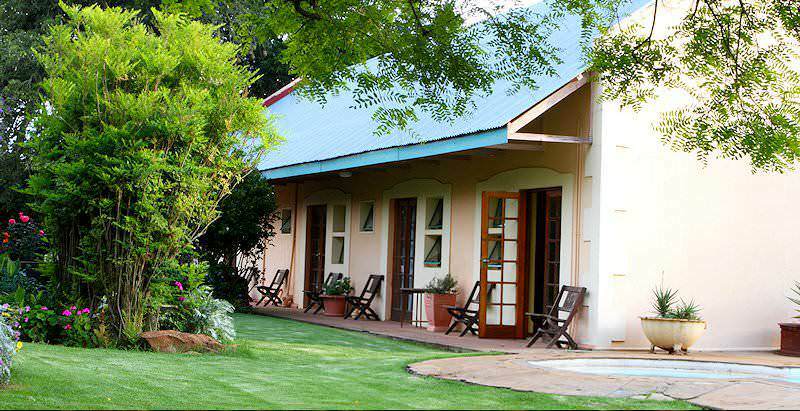 Penny Farthing is a country house found on a cattle and game farm in the heart of the KwaZulu-Natal Battlefields region. 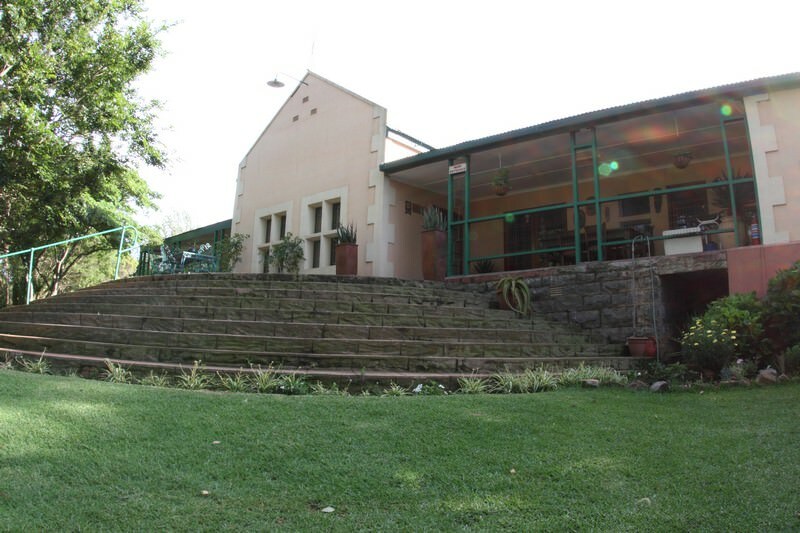 The owner's wife is a descendant of Dougald McPhail, founder of the town of Dundee and one of the few survivors of the battle of Isandlwana. Historic sites and battlefields of the Anglo-Zulu as well as the Anglo-Boer war are located throughout this region which makes it a great visit on a tour of South Africa. 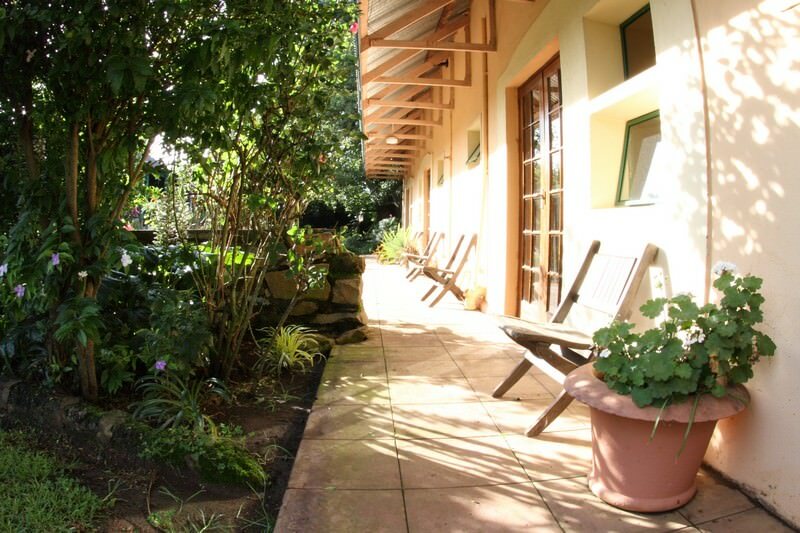 Guests are accommodated in five en suite bedrooms which all lead out into a lush garden. 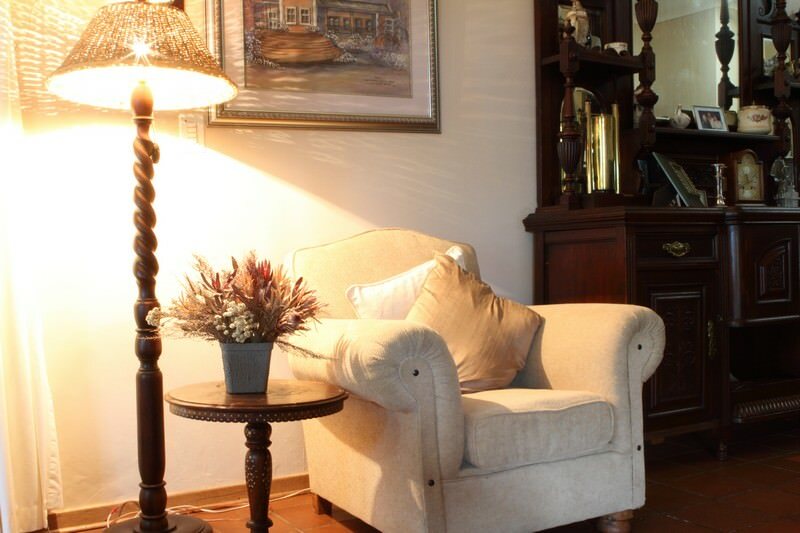 The rooms are decorated in solid wood and antique furniture. 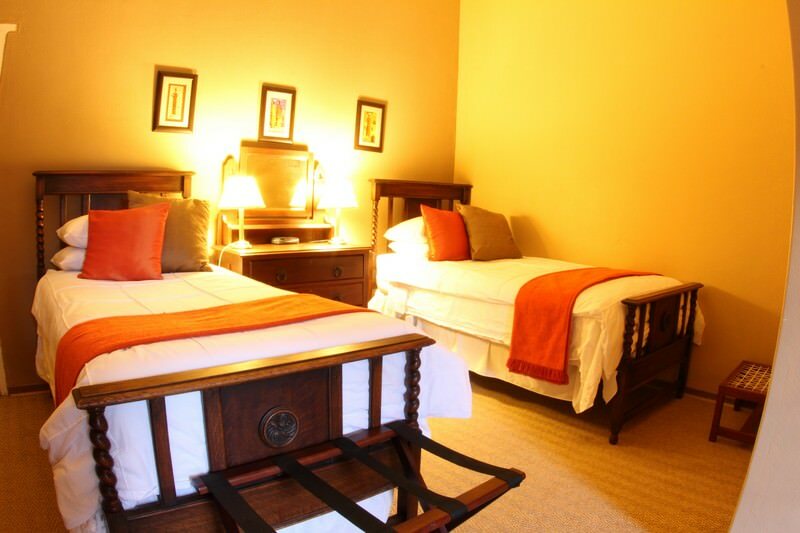 All rooms have electric blankets for cold winter nights and a ceiling fan for hot summers days. 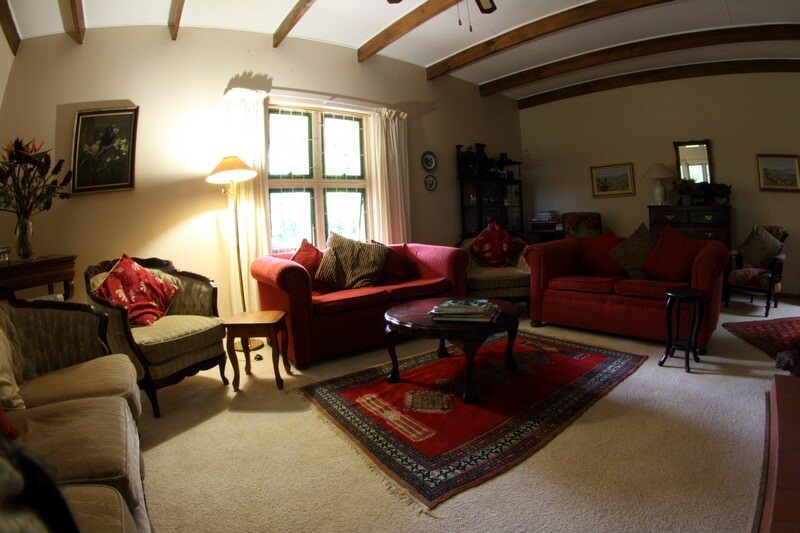 A big fireplace in the lounge creates warmth and atmosphere on cold winter nights, and a pleasant environment in which to discuss the events of the day. 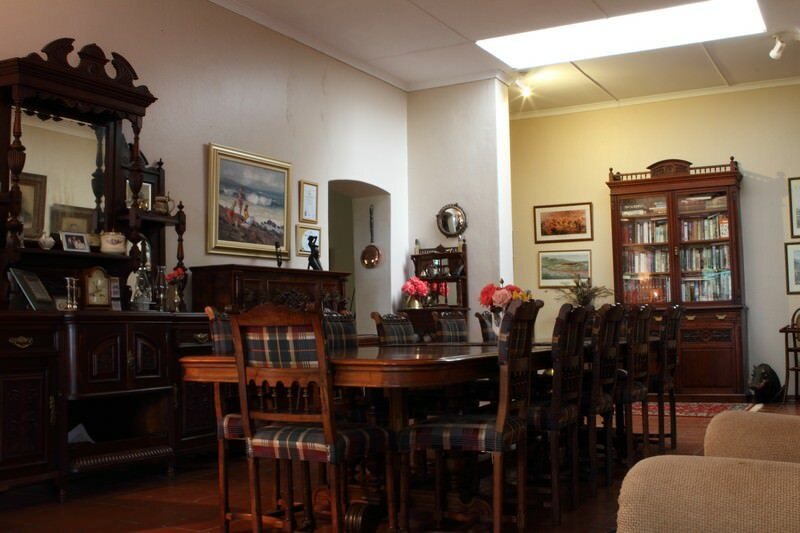 This guest house also has a large dining room and a small bar area. 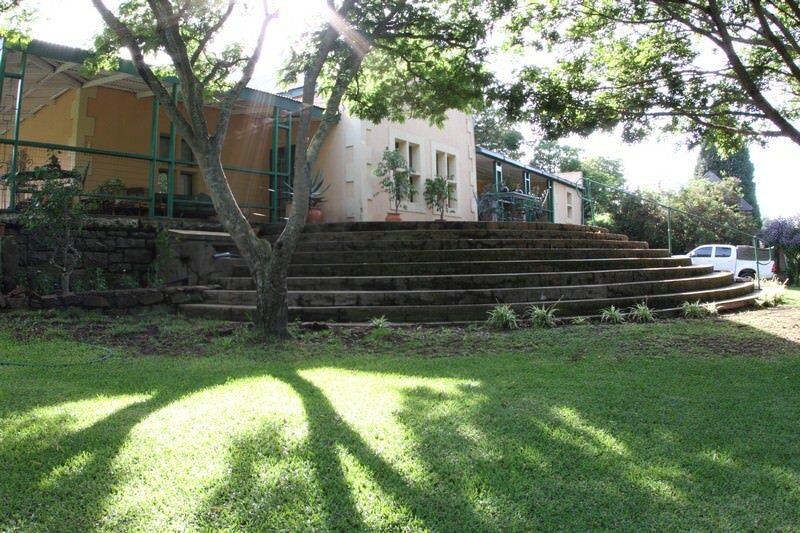 The surrounding area is mostly bushveld, with a blend of different types of savanna. The days are normally hot and you are sure to enjoy the pool which is provided for guests' comfort and enjoyment. 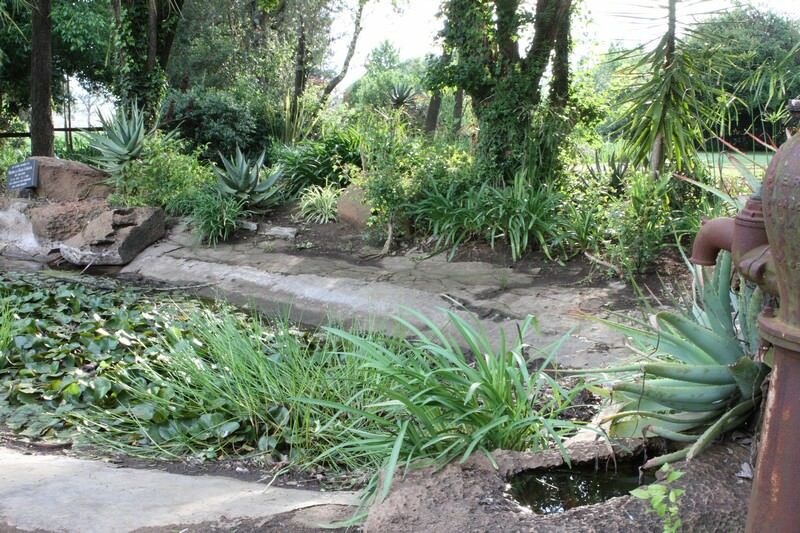 The large garden with a fish pond creates a lovely, relaxed atmosphere. For a taste of outdoor adventure, there are quite a few hiking trails that are easy and safe to follow. 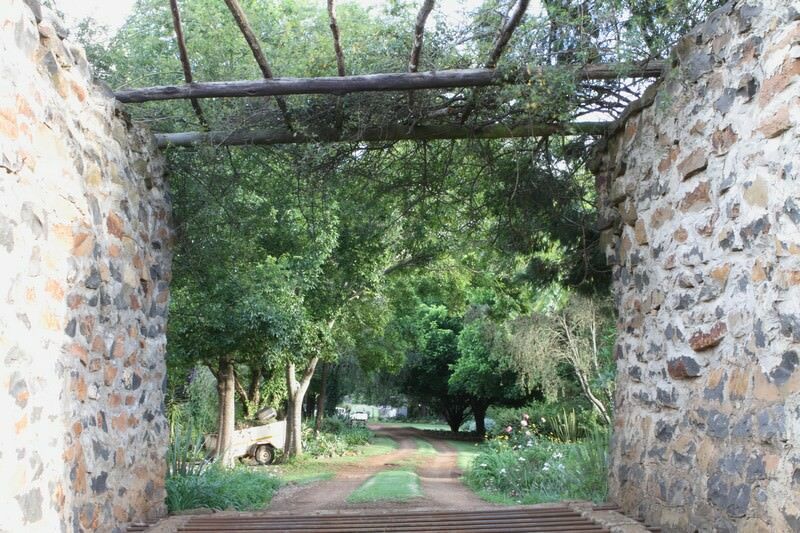 Some lead to the dam, which supplies the water for the vegetable gardens, and is filled with various fish species. The area is rich in birdlife. Penny Farthing is located on a working cattle farm. 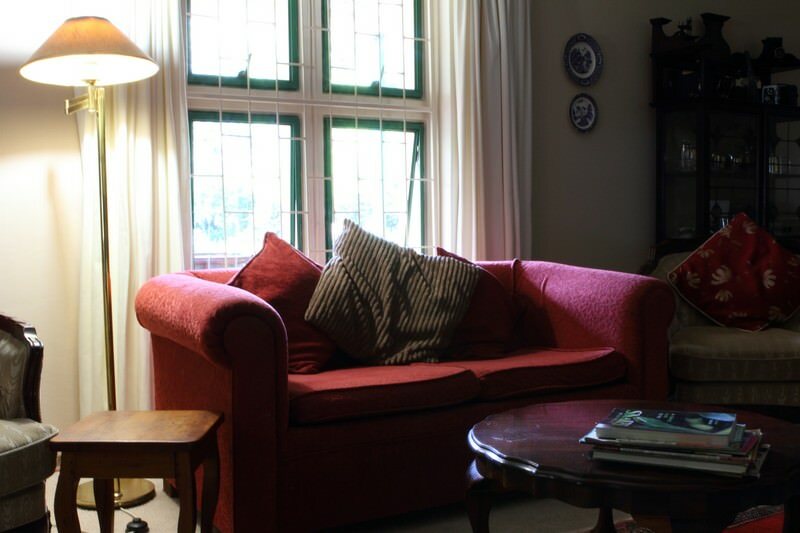 The accommodation is very comfortable, the entire experience warm and friendly. 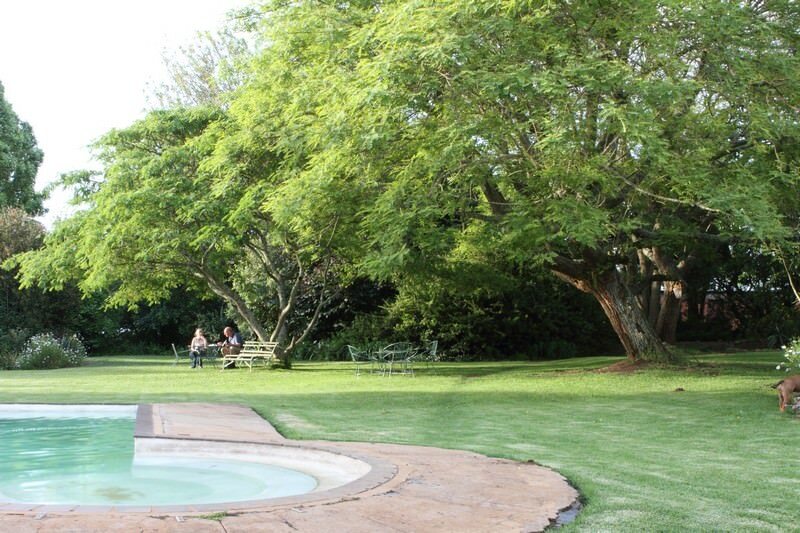 It is a great base from which to experience tours of South Africa&apos;s battlefields located in the KwaZulu-Natal province. The proprietor of Penny Farthing is a gentleman in his 80&apos;s. He is one of the most knowledgeable people on all matters relating to the Anglo Zulu and Anglo Boer wars that I have ever met. You are sure to be delighted by his tales and his storytelling abilities. South Africa has been affectionately nicknamed 'the world in one country'. Botswana's wilderness areas are remarkably pristine and painstakingly cared for. Namibia is an extensive desert country that supports a startling amount of wildlife. Zambia's top national parks include Kafue, South Luangwa and Lower Zambezi. Travel to Zimbabwe for a spectacular view of the awe-inspiring Victoria Falls. Mozambique will appeal to honeymooners and adventure seekers alike. The Greater Kruger National Park encompasses two million hectares of lowveld in the northeastern corner of South Africa. The Sabi Sand Private Game Reserve hosts some of the most luxurious safari lodges on the continent, like Singita and Lion Sands. Cape Town is South Africa's oldest and most beloved city, an exciting tour destination that draws local and international travelers alike. The Garden Route is an adventure-rich destination, offering activities like elephant encounters, walking with cheetahs and dolphin watching.